Welcome to the Vascular Surgery and Vein Center, a comprehensive vascular practice providing state-of-the-art care to patients throughout the tri-state area. Under the direction of board-certified surgeon Dr. Norman Chideckel, we utilize our advanced skills and many years of experience to help patients achieve clear, beautiful and healthy legs. Dedicated to helping patients achieve their desired results through the most effective and minimally invasive treatments available, Dr. Chideckel and his staff take the time to talk with each individual patient and address any concerns or questions they may have before undergoing treatment. Your comfort and satisfaction are among our top priorities. To learn more about the services provided by Dr. Chideckel, please contact us to schedule an appointment. We always welcome new patients and look forward to meeting you. Call us today at 212-993-6133 to schedule an appointment. Many women go their life without a trace of visibly unattractive veins; then they are surprised to find varicose veins in pregnancy. Pregnancy can contribute to varicose veins in several different ways. As your uterus grows, this creates more pressure in your abdomen area; in turn, squeezing your veins. Hormone changes can affect your veins by making them stretched out or dilated. This weakens the vein, making it difficult for a normal blood flow. Pregnancy also increases your blood volume but contradictorily decreases the flow of blood from your legs to your heart. This change in circulatory design is specifically for a healthy growing fetus. So even though this change will help your child grow, it has some side effects for the mother, including larger veins in the legs. How can I prevent varicose veins in pregnancy? You don’t have to go for a 5 mile jog; a simple walk around your block every day can improve the circulation throughout your body. Poor circulation can help create varicose veins. Speaking of circulation, don’t sit for long periods of time; or stand for that matter. Get up every hour to move around when watching TV or working at your desk. Keep circulation healthy. Most likely your OBGYN gave you a healthy weight range to stay within during your pregnancy. This is important for the health of your baby as well as yourself. Not gaining enough weight or gaining too much can add to the pressure around our veins. Elevating your feet to, level with your heart or higher, will help the blood flow back to your heart from your veins. Your veins work extra hard to send blood upstream. Varicose veins usually improve after you give birth, especially if they weren’t there before pregnancy. If they don’t disappear, there are several minimally invasive procedures available today that can get rid of visible vein. If the veins do not disappear after giving birth and you need help making a decision on the best vein treatment for you, contact us today to schedule an appointment with Dr. Norman Chideckel for the treatment of varicose veins. It is not uncommon for a woman to develop varicose veins during pregnancy. These can present as small spider veins, or the larger size varicose veins. The reasons for this are multifactorial. Firstly, the uterus enlarges as the fetus grows, causing an increased pressure on the lower extremities. This slows the venous blood flow return, and in combination with the head of the fetus pressing on the groin area, may cause the valves in the veins to break. As a result, the legs may swell, causing a heavy and tired feeling during the day. Sometimes the symptoms are so significant that even standing for short periods of time becomes difficult, necessitating the need to sit and elevate the legs, thus hampering the ability to carry out daily activities. This can occur during the first pregnancy, but becomes more of an issue with subsequent pregnancies. Towards the end of the pregnancy the blood becomes hypercoagulable, or more likely to clot, as a protective mechanism to stop the uterus from bleeding after the birth of the baby. There are times that a blood clot may develop at that time, or even soon after delivery. Usually, these are superficial vein blood clots, which present as a red tender area over the track of the vein. Spider veins are most commonly the result of hormonal shifts that occurs during pregnancy. 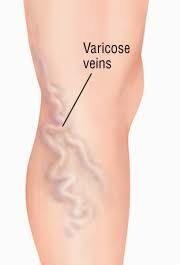 However they may also be the result of “leakage” from the larger varicose veins. Most often, these varicose veins will resolve within three or four months after completion of the pregnancy, a little bit longer if you are breast-feeding. After that time, it is unlikely that further improvement will occur, and during the next pregnancy these varices will become worse. Support maternity pantyhose-this is probably the most important thing to do. The pantyhose uplift the lower abdomen, relieving the pressure of the enlarging uterus on the lower extremities. These should be started as soon as you know that you’re pregnant, even with the first pregnancy. The newer model stockings are sheerer while still maintaining adequate compression. Despite all, sometimes these varicose veins remain. If that occurs, you should be evaluated by a vascular surgeon to determine the underlying problem, so that an appropriate management protocol can be established. If you suffer from vein problems during or after pregnancy, contact Dr. Norman Chideckel, board certified vascular doctor and NYC’s leading expert in varicose veins. Is Endovenous Laser Ablation the Best Treatment Option for Varicose Veins? I Have Spider Veins on My Legs! How do I Get Rid of Them? What is Sclerotherapy? Will it Get Rid of My Spider Veins? Why Do My Varicose Veins Keep Coming Back? What are the Treatment Options for Varicose Veins? What Causes Varicose Veins During Pregnancy?